Sunbridge Institute has a long and respected legacy as North America’s oldest Waldorf teacher education institution, with a history stretching back 50 years. Sunbridge, then called the “Waldorf Institute,” was founded in 1967 out of the Detroit Waldorf School by noted Waldorf teacher and anthroposophist Werner Glas and his wife Barbara, a eurythmist. The Waldorf Institute thrived in the 1960s and ‘70s with the rapid growth of the American and Canadian Waldorf school movements and was for a time associated with Mercy College of Detroit, through which students could earn bachelor’s and master’s degrees. In 1979 the Waldorf Institute left downtown Detroit and moved to facilities on the campus of a Franciscan monastery in suburban Southfield, Mich. As its programs expanded, a search was begun to relocate the Institute to a permanent site closer to other institutions and initiatives where students could experience activities inspired by anthroposophy and Waldorf Education. The search for a new campus led the Waldorf Institute to the Threefold Community in Spring Valley (now, Chestnut Ridge), N.Y. Founded in 1926 by individuals who were students of Rudolf Steiner (the founder of Waldorf Education and its spiritual base, anthroposophy), the Threefold Community was the most well-established anthroposophically-based community in North America. By the 1980s, this still-rural site of over 100 acres in Rockland County, N.Y., just 35 miles outside New York City, was home to a group of like-minded organizations that included Green Meadow Waldorf School, Eurythmy Spring Valley, and The Fellowship, an intergenerational community and medical practice based on Steiner’s insights for the care of the elderly. As a fully-established community working with the ideas of Rudolf Steiner, this was the ideal setting for a Waldorf teacher education center. In 1986, using classroom space rented by the steward of the property, the Threefold Educational Foundation (now, the Threefold Educational Center), classes started, and the next phase of the Waldorf Institute began. Fulfilling its dream of becoming an independent, degree-granting institution, in 1987 the Waldorf Institute applied for a charter as Sunbridge College from the Board of Regents of The State University of New York. In November 1991, just a few weeks after the death of Sunbridge founder Werner Glas, a provisional charter was granted. The following autumn, Holder House, a 40-unit dormitory built by Sunbridge in conjunction with the Threefold Educational Foundation, was inaugurated, and the College’s master’s degree programs in Waldorf Early Childhood and Waldorf Elementary Teacher Education began. In the years following, Sunbridge College’s offerings grew, eventually encompassing numerous full- and part-time certificate and degree programs and courses in Waldorf Teacher Education, Biography and Social Art, Liberal Studies, Remedial Education (now the Association for a Healing Education), Waldorf Administration and Community Development, Applied Arts (now the Fiber Craft Studio) and other affiliated fields. Amid this institutional expansion, however, another reality was setting in. Changing economic times and shifts in the dictates of students’ lives decreased the demand for full-time programs. At the same time, the rigorous requirements of running a New York State degree-granting institution continued to grow in scope and complexity. In May 2008, after much soul-searching, the Sunbridge College administration and board made two decisions that would change the course of Sunbridge’s future: curtail Sunbridge’s range of programs and cease the offering of master’s degrees. 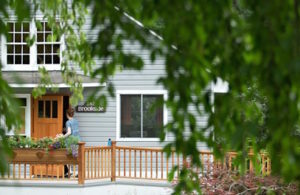 This difficult, but forward-thinking, reorganization, which was completed in January 2010, allowed for a leaner, yet stronger Sunbridge to emerge, one with a highly-keened focus of serving the Waldorf school movement through well-regarded, low-residency teacher education programs and a comprehensive roster of short-term courses and workshops. Under the new name of “Sunbridge Institute”—in tribute to its roots as the Waldorf Institute as well as its nearly 25 years of educating Waldorf teachers as Sunbridge College—a new adult learning center was born. 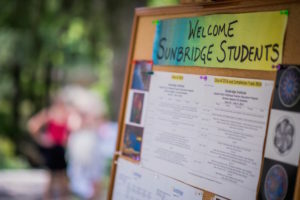 Today, through the committed leadership of our faculty, administration, and Board of Trustees, and the support of our students, alumni, and countless members of our local and far-reaching communities, Sunbridge Institute continues to flourish and grow, dedicated to the awakening of the consciousness and the advancement of Waldorf Education in the world. Our programs and courses attract students from across North America and beyond. 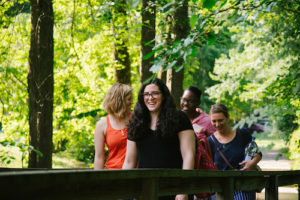 The latest exciting chapter in the life of Sunbridge Institute began in 2015 with the announcement of a joint partnership with Empire State College of The State University of New York, enabling Sunbridge program students and graduates to earn a fully-accredited Master of Education degree with a concentration in Waldorf Education. As Sunbridge advances, we welcome you to join us in our vision and in our work. Sunbridge Institute provides higher educational offerings that stimulate and enrich the personal and professional capacities essential for adults engaged in the education of children. Sunbridge’s integrated approach—a balance of spiritual, artistic, and practical studies—fosters the development of contemplative, social, and pedagogical capacities vital to a living art of education. Anthroposophy, the spiritual-scientific view of the human being developed by Rudolf Steiner, inspires the work of Sunbridge Institute and permeates its culture and activities. Sunbridge Institute is a full member of the Teacher Education Network (TEN) of the Association of Waldorf Schools of North America (AWSNA). AWSNA was founded in 1968 to assist Waldorf schools and institutes in working together to nurture Waldorf Education so that it can manifest more widely in the world. AWSNA provides leadership to schools by facilitating resources, networks and research as they strive towards excellence and build healthy school communities. Sunbridge Institute is a full member of the Waldorf Early Childhood Association of North America (WECAN). WECAN was founded in 1983. Membership is open to early childhood programs, kindergartens, child care centers, home programs, and teacher training centers committed to the ideals and practices of Waldorf early childhood education, and to individuals who wish to support and contribute to Waldorf early childhood education in North America. Sunbridge Institute is a partner of Empire State College of The State University of New York. Sunbridge Institute is licensed under the New York State Department of Education within the Bureau of Proprietary School Supervision (BPSS). BPSS oversees and monitors non-degree granting proprietary schools in New York State. The Bureau is responsible for ensuring that the overall educational quality of the programs offered will provide students with the necessary skills to secure meaningful employment and for protecting students’ financial interests while attending proprietary schools. BPSS licenses/registers proprietary schools and credentials proprietary school teachers to ensure that appropriate standards are met. The Bureau investigates student complaints and conducts comprehensive investigations of schools to assure compliance with Education Law and Commissioner’s Regulations.